Catch Corners app: insight & download. **WARNING** This game is VERY ADDICTING. Play at your own risk! WORLDWIDE CHALLENGE: Beat score 380!!! Comment your best score in Reviews: My best score is 286. 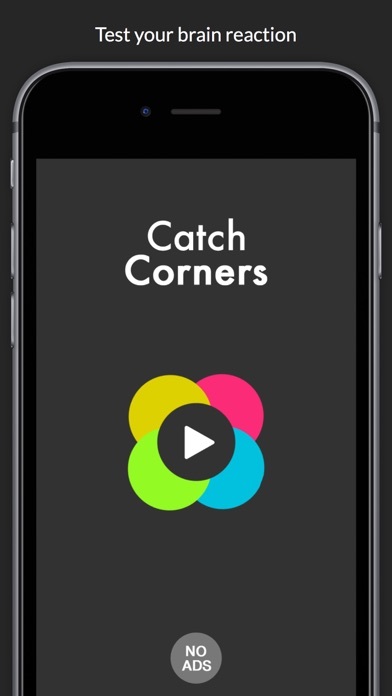 Catch Corners is a game that tests your brain's reflexes! Simply tap on the corner which matches the color of the center circle. This game is VERY ADDICTING. Play at your own risk! My best score is 286. Catch Corners is a game that tests your brain's reflexes! Simply tap on the corner which matches the color of the center circle. 19 July 2018 : Free! 14 January 2017 : Free!